Downloading movies, shows, games, music and everything else from the internet has become a standard practice in this digital age. Although we have come a long way when it comes to downloading stuff from the internet, some of us still use old and ineffective ways to do so. If you’re still downloading files using nothing but your browser, you could probably use a little upgrade. Every web browser has a basic download manager, but they don’t provide users with much to work with. Downloading via a web browser usually means slower download times, limited options, and there’s always the risk of your download breaking at random times due to unfortunate events. Professional download managers can provide us with a much better downloading experience. Features such as — faster download times, multiple downloads, priority settings, and ability to pause and resume downloads are just a few of many benefits that download managers provide. The good thing about download managers is that you have a plethora of options to choose from, and it’s up to you to pick the one that suits you best. Here’s our list with some of the best download managers out there, with pros and cons to using each one of them. Internet Download Manager (IDM) is the most popular and probably the best download manager out there. Known for its popularity and ease of use, Internet Download Manager is one of the first programs in its category, still going strong till this day. IDM comes with fast downloading times, parallel downloads, pause/resume option, scheduling, multilingual support, easy browser integration and much more. Its download logic accelerator feature segments your download file, so you never have to worry about losing your download progress. Popular websites like YouTube are also supported. You will not be disappointed with the simplicity of this program, where each feature is just a click away. Enjoy fast and safe downloads, browser integration, and never worry about losing your progress. Just in case you’re into it, Internet Download Manager also supports the use of VPNs, proxies, FTP protocols, firewalls, redirects, authorization and more. 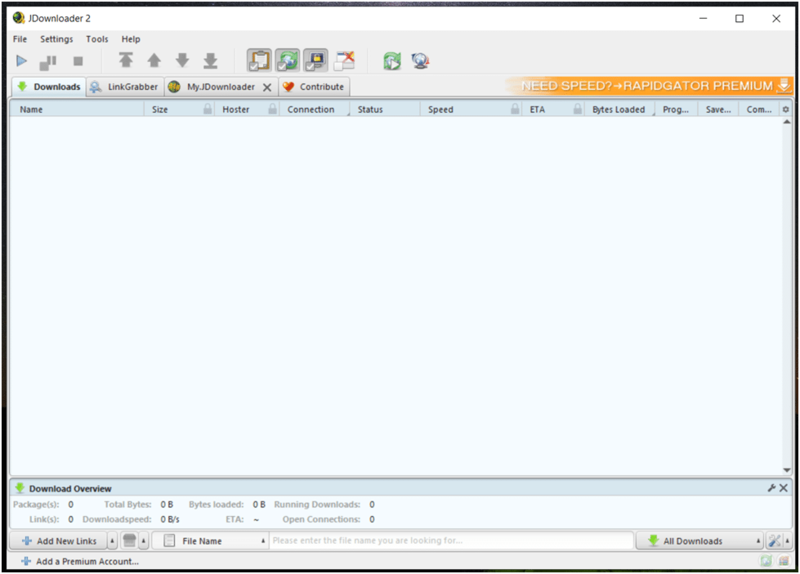 Open source, simple and free to use download manager with a plethora of options. 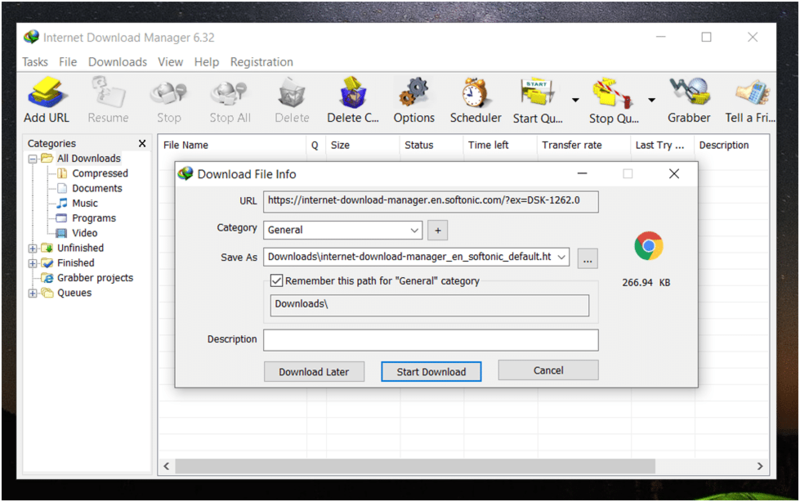 JDownloader is a free, open-source download manager with lots of great features. You get better downloads, auto-extraction, pause/unpause and no ads, all for free. It performs exceptionally well on hosting websites with lots of pop-ups (such as Mega or Rapidshare) due to features that allow JDownloader to get past by time-limits and CAPTCHAs. Perhaps the best thing about JDownloader is that it supports over 300 plugins, which means you can do some amazing things if you know what you’re doing. The UI itself is a little dull and outdated but is relatively simple to use. 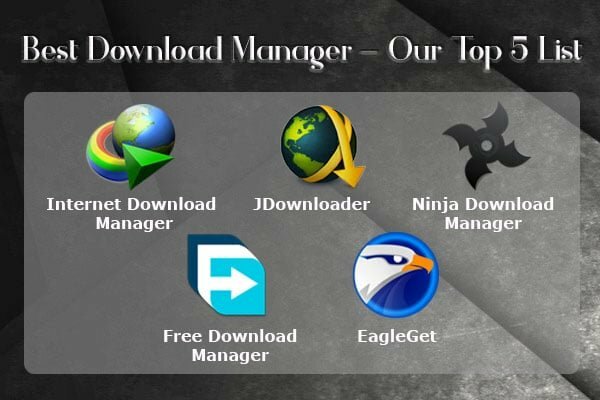 JDownloader can be an excellent option for advanced users who are looking for a free download manager to speed things up. One thing to note is that the installation process contains adware and bundleware, so make sure you carefully tick those boxes off. Other than that, you will no have problems with pop-ups or in-program ads. Fresh, modern, fast download manager that gets the job done. If you’re looking for a download manager that doesn’t remind you of Windows XP, you might want to consider giving Ninja Download Manager a shot. It’s a newcomer to the game, so no wonder its design looks stellar and Windows 10-ish. Of course, the slick design is not the only thing that makes us include Ninja Download Manager in this list — there’s a lot more it can offer us. Ninja Download Manager is fast and efficient, with features such as parallel downloading, scheduling, previewing, pausing/unpausing, and it has built-in antivirus protection as well. There’s also a chrome extension if you’re looking to download files straight from the browser. There’s a “shred” feature to cover your tracks, but that’s not something you need, right? All things considered, you will have a good surfing experience with this one. The only real downside to Ninja Download Manager is that it requires a payment, which comes at $19 for one computer. Free Download Manager is an open source program that’s completely free to use, but most importantly — it gets the job done. It serves as a download manager, torrent client, video previewer, traffic tool, and it does a great job in each one of those roles. It’s simple to use, and all you have to is “drag & drop” to start downloading your files at lightning fast speeds. When it comes to features, Free Download Manager has everything you need for a basic setup — fast speeds, file management, user-friendly UI, browser extensions, supports torrent files, and a lot more. It also includes a “snail download” feature so that you can download stuff at slower speeds while doing something else. All in all, a great download manager to have. If you want to download your files with ease, EagleGet might be a good choice for you. It’s a modern, fast, feature-packed download manager that can always get the job done. You get fast download speeds, ability to control your files, to pause and unpause, to allocate bandwidth and more. On top of that, there’s a built-in malware checker that comes in handy as well. EagleGet has browser extension support so you can download files with ease as you surf the internet. The cons of using EagleGet for free is that it shows ads, and the installation process is annoying due to adware & bloatware. A download manager is a must-have tool for anyone who downloads files regularly, and there’s a lot of good options that you can choose from. We guarantee that each manager from this list will get the job done, and it’s up to you to decide what features are important to you. Paid download managers are perfect to use in a lot of ways, but if you can’t afford to pay then the free managers should get the job done as well.